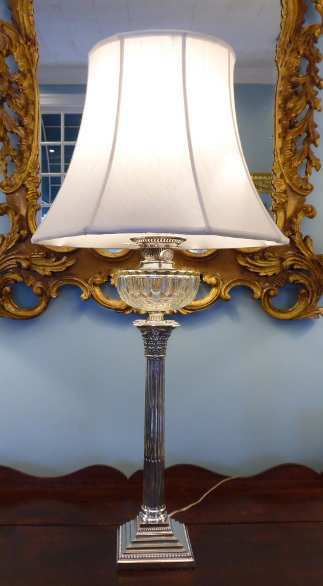 Magnificent Sheffield (hall marked) plate fluid lamp. 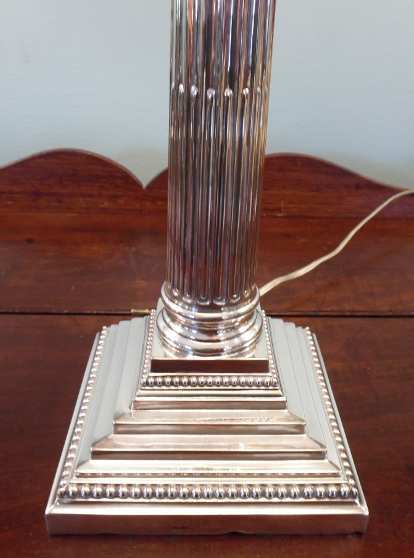 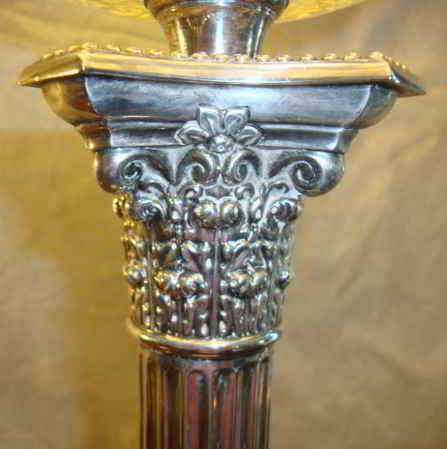 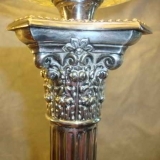 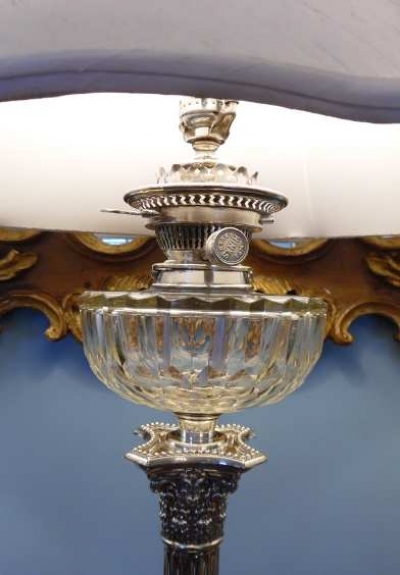 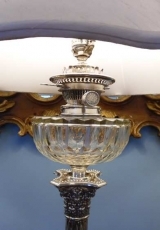 Clear pressed glass font mounted on tall fluted Corinthian topped stem which is resting on multiple stepped base that is decorated with small balls. Provinance: The Du Pont Estate.